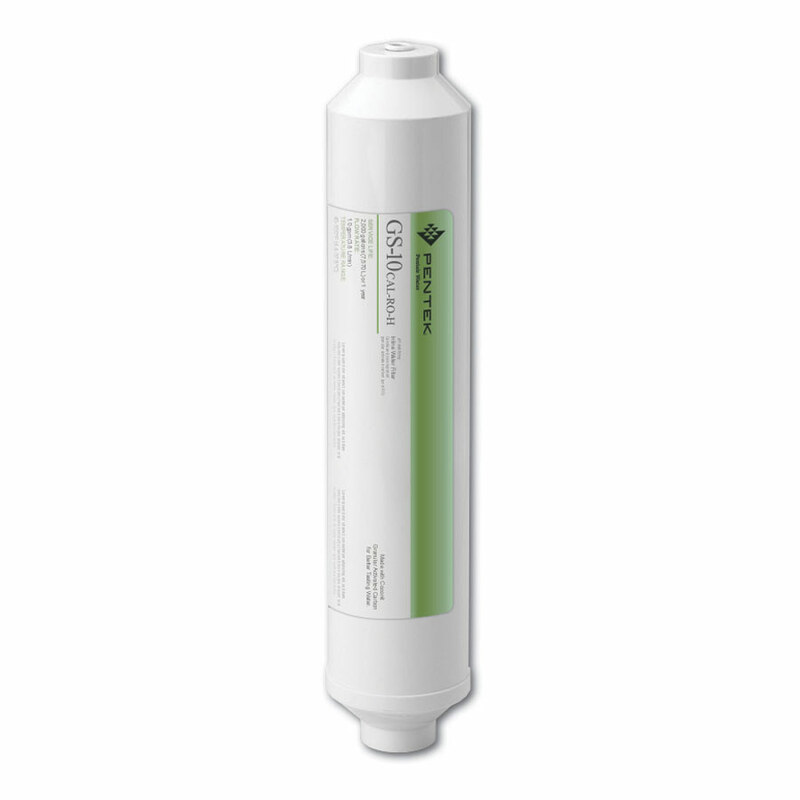 This inline post filter is designed to dissolve calcite into your reverse osmosis water to correct low pH created by the RO process. The filter uses a combination of granular activated carbon & calcite to act as a post filter and neutralize low pH. This top quality cartridge is made by Pentek, the largest brand in the filtration industry and is NSF Certified.